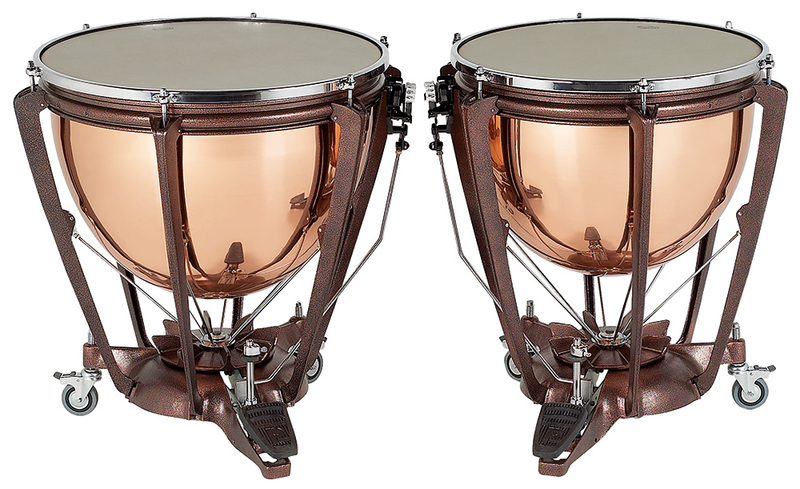 Pro-Symphonic Series timpani are professional, high-quality instruments for those preferring a conventional sized head. 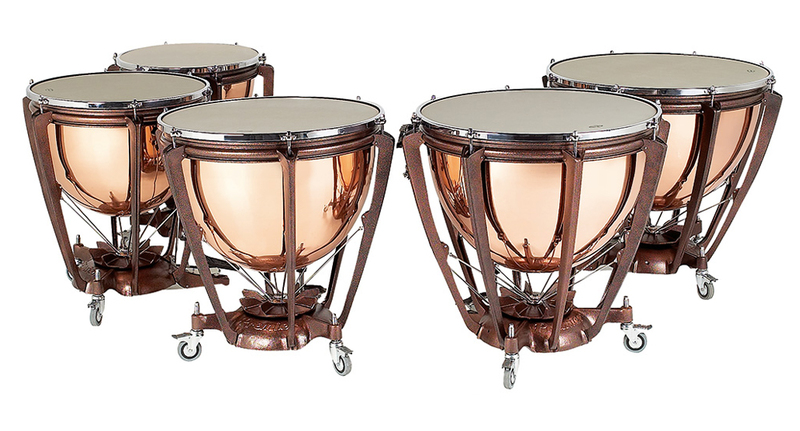 All other aspects of the top-of-the-range Elite timpani are mirrored in the Pro-Symphonic: the hand-spun, parabolic, polished and lacquered copper bowls are the industry superlative for sound. The bowl is also freely supported so that none of this sound quality is lost. 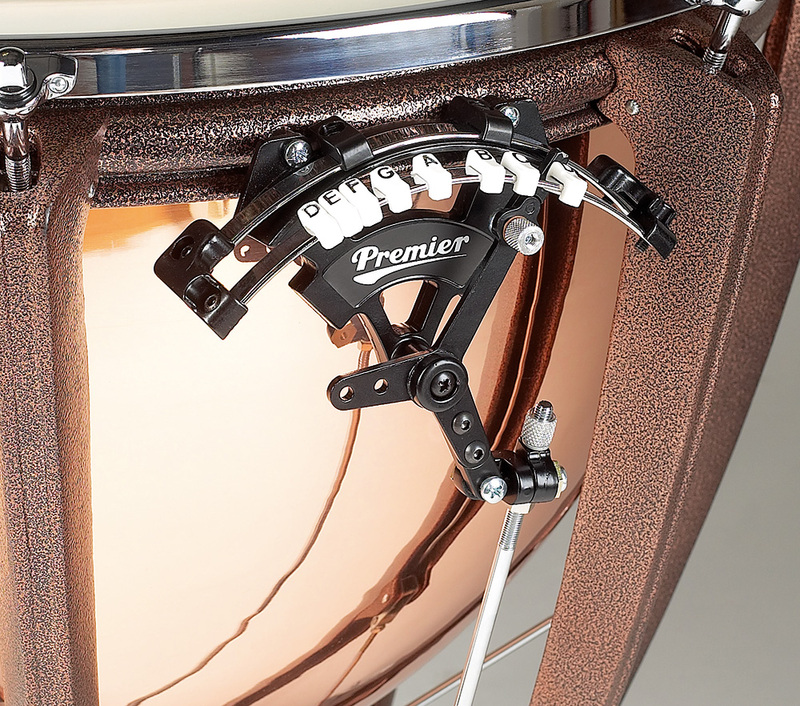 There is a foot-operated fine-tuning wheel that can shift or fractionally adjust pitch within each timpani’s range of one seventh. The perfectly balanced link rods from pedal to head deliver equal pull and release for silent and measured tuning. 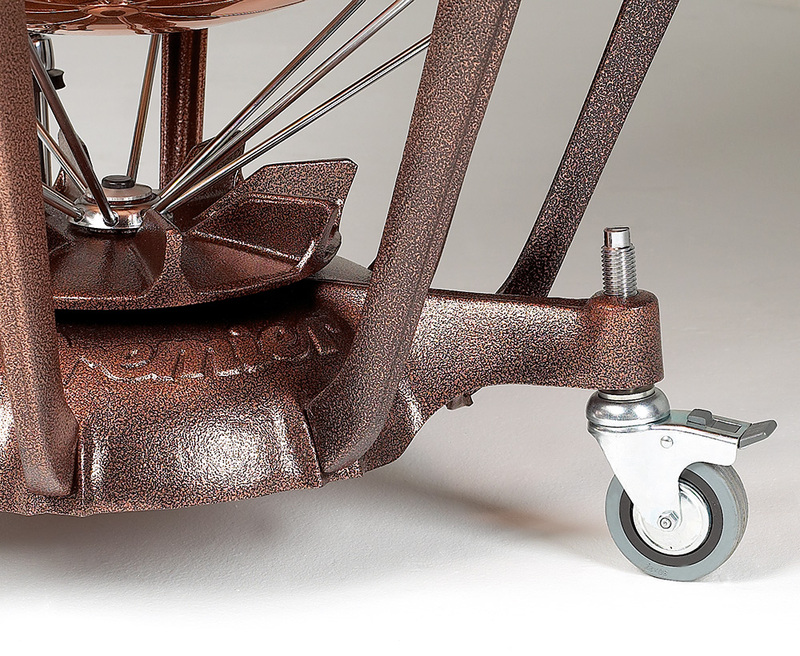 Castors are braked and height adjustable to enable slope adjustment. 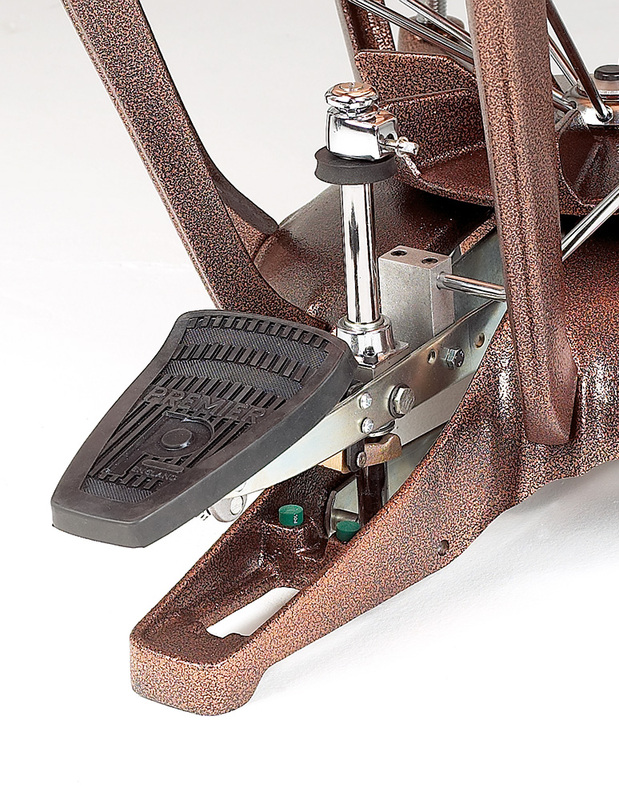 The Premier action pedal grip rod benefits from newly introduced centre-less polishing, finished off with chrome plated safety stop. 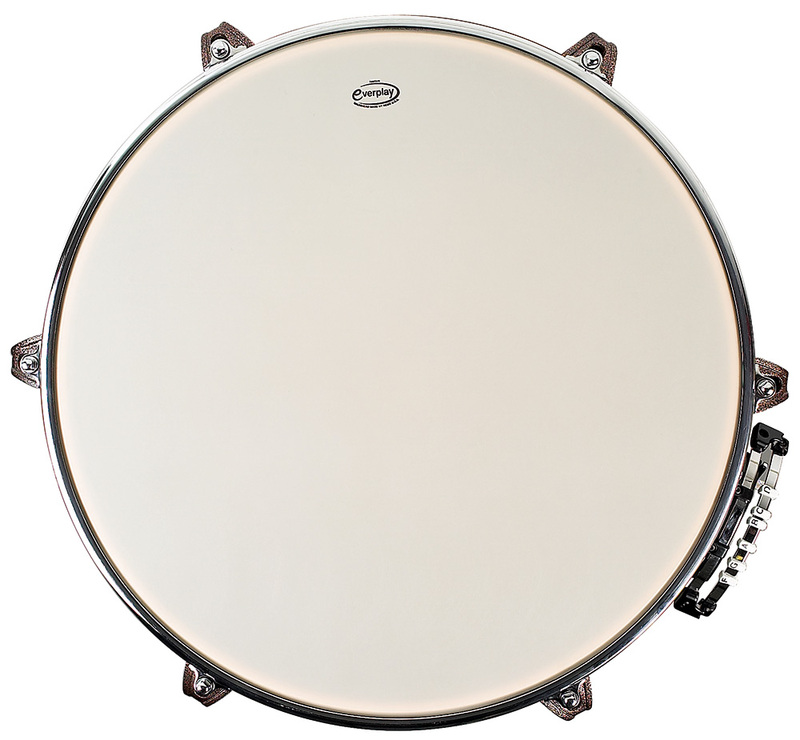 The felt-lined counterhoop and tension bolts are also chrome plated, ensuring this instrument is of the highest quality down to the smallest details. 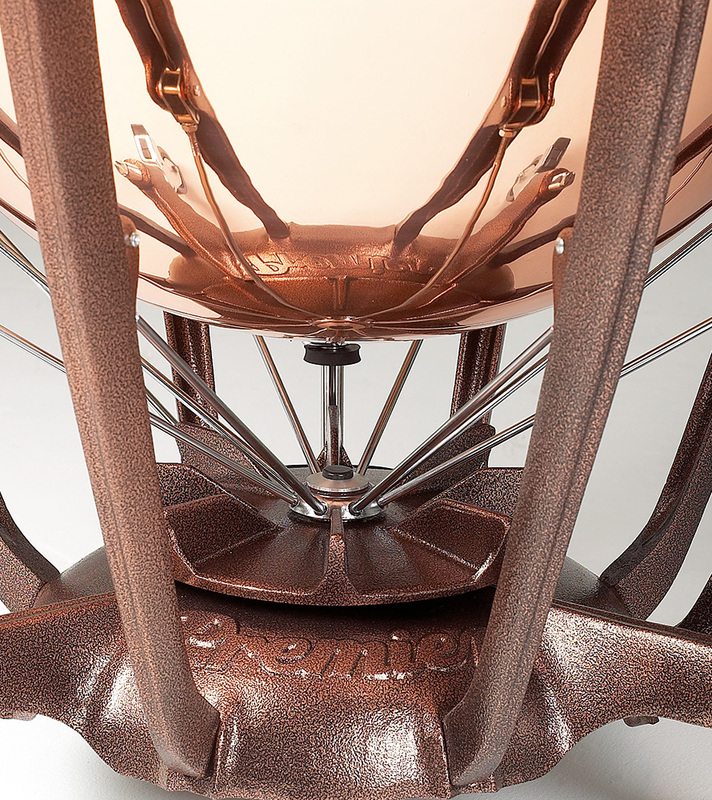 Many timpanists choose Premier Pro-Symphonic timpani for their excellent sound when played with synthetic heads. International or German set-up available. When ordering German gauge position, add OPP to the code. For example 5722OPP.